Childhood obesity and school breakfast programs: Some critics suggest there’s a correlation. New study proves otherwise. Since 2003, New York City schools have been participating in The School Breakfast Program, a federally subsidized program that provides free breakfast for children in participating schools. Almost 400 of the city’s 1,800 schools offer breakfast in the classroom, while more than 30,000 classroom breakfasts are offered each year. Critics of the program believed that it would only lead to childhood obesity, presumably because it could potentially provide a second breakfast for some students. But according to a new study published online today in the Journal of Policy Analysis and Management, The School Breakfast Program didn’t contribute toward obesity levels in children in New York City schools. The Centers for Disease Control and Prevention states that in 2012 more than a third of children were overweight or obese. 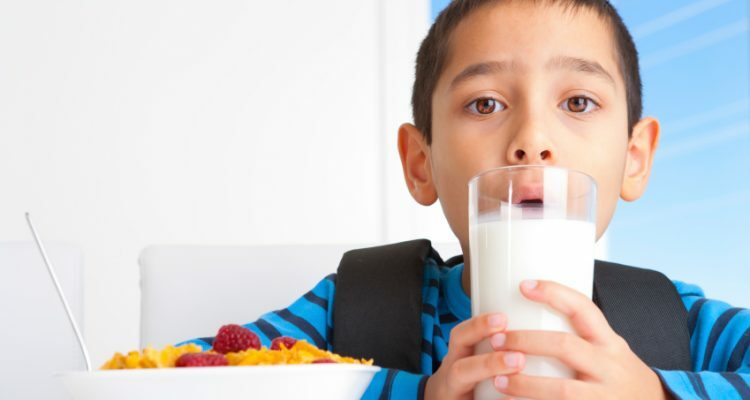 Still—one in five children in the U.S. struggles with hunger; that’s why proponents of school breakfast programs consider them so important, because breakfast is generally considered to be the most important meal of the day. Every child should start the school day with a nutritious breakfast. Studies have shown that kids who skip breakfast under-perform academically. The School Breakfast Program plays an important role in getting kids the food they need to perform optimally in the classroom. Increasing school breakfast participation can be done at a low cost and with creative options. No Hungry Kid Campaign participants work with school partners to develop innovative ways to deliver breakfast programs. Barriers to program success include stigma (no kid wants others to know he/she is in need of a breakfast) and transportation issues. “Childhood Obesity Facts,” Centers for Disease Control and Prevention web site; http://www.cdc.gov/healthyschools/obesity/facts.htm, last accessed March 30, 2016. “Classroom Program Increases School Breakfast Participation, Not Obesity,” NYU Steinhardt web site; http://steinhardt.nyu.edu/site/ataglance/2016/03/breakfastclassroom.html, last accessed March 30, 2016. “Fact Sheet: School Breakfast Program,” No Kid Hungry web site; https://www.nokidhungry.org/pdfs/school-breakfast-program-factsheet.pdf, last accessed March 30, 2016. Corcoran, S.P. et al., “The Effect of Breakfast in the Classroom on Obesity and Academic Performance: Evidence from New York City,” Journal of Policy Analysis and Management. March 30, 2016; doi: 10.1002/pam.21909.